When you turn 71, there are certain steps you need to take with your RRSP. A financial planner can help with your options. Before the end of the year, make your final Registered Retirement Savings Plan (RRSP) contribution—and make it as large as you can. Keep in mind, you don’t have until March of the following year—your contribution must be made by December 31. If you earned income this year, you may want to over–contribute to your plan in December before you wind it down. The amount would be whatever you’re entitled to contribute based on your earned income. While you will have to pay a 1% penalty for the month of December on the over–contribution, the tax savings will far outweigh the penalty. If you have unused contributions from previous years, now is the time to catch up and max out, if you can. If your spouse is not yet 71, you can keep contributing to his/her RRSP until they turn 71, provided they have the contribution room. If you like, you can put off withdrawing from your Registered Retirement Income Fund (RRIF) until the end of the calendar year after it is set up. That means your savings will have more time to grow on a tax-deferred basis. 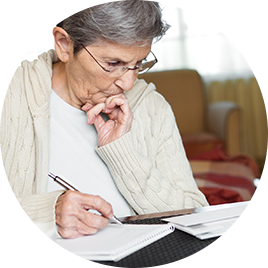 This checklist covers commonly used financial planning strategies for seniors—pension income splitting, tax credits, gifting and more!